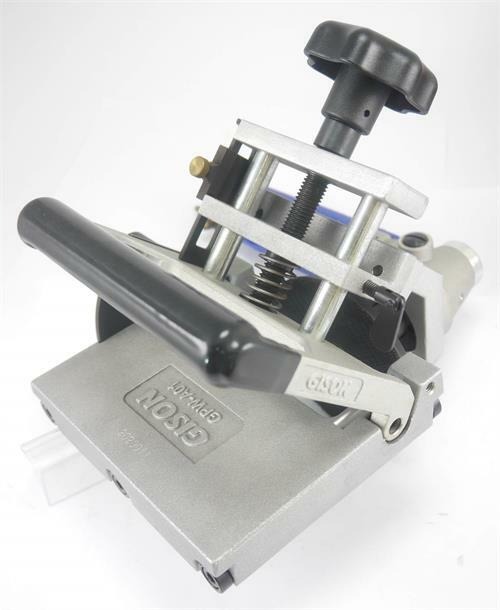 The GPW-A01A-7 combines functions for older model GPW-A02B, which is for straight edge polishing only, and GPW-A01, which is designed for polishing bevel edges. 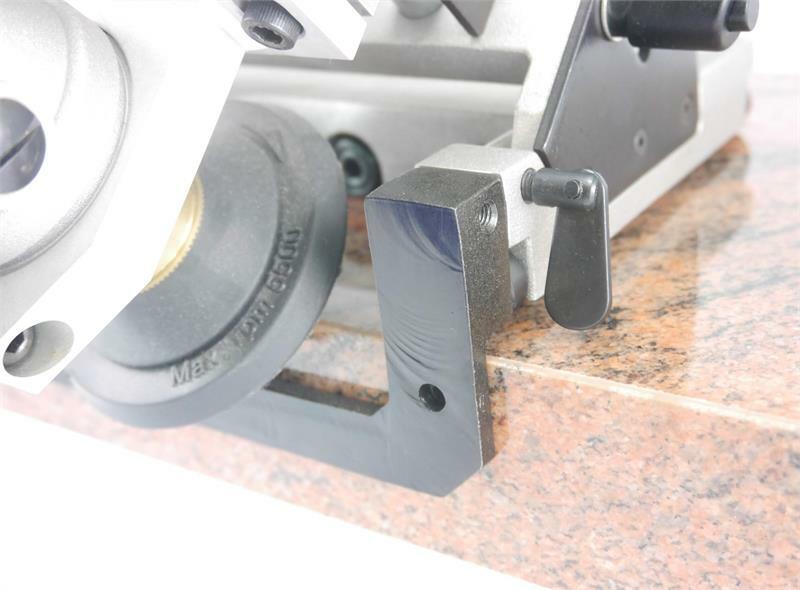 Together with air polisher GPW-7, GPW-A01A is used to accurately polish straight edges while keeping the slab flat on a fabrication table. 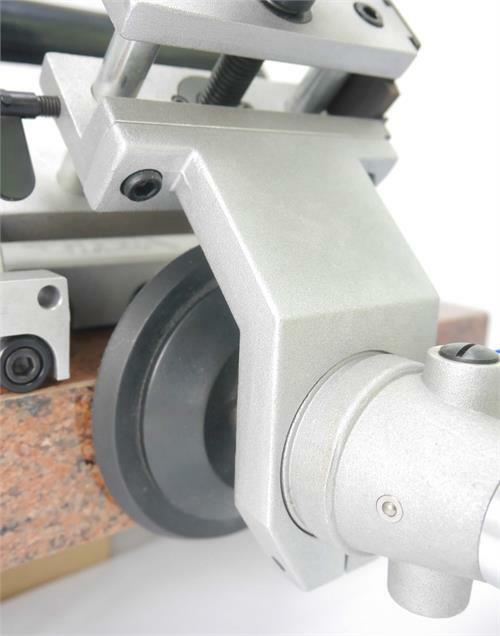 Provided with beveling clamp and stopping guide, fabricators can also use it to polish beveled edges ranging from 15 to 45 degrees. 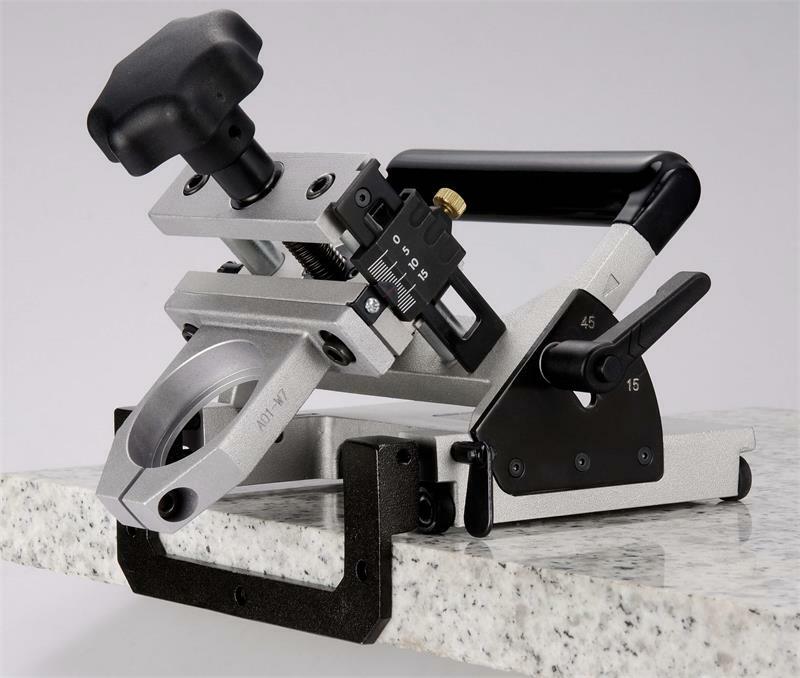 This new product will remove the guess work and inconsistency that normally exists when fabricators polish stone edges with diamond polishing pads. 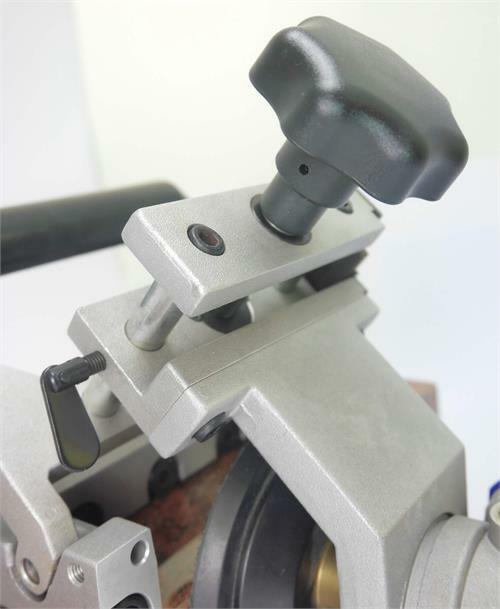 The product is also called Wet Air Chamfering Machine or Chamfering Auxiliary Base. 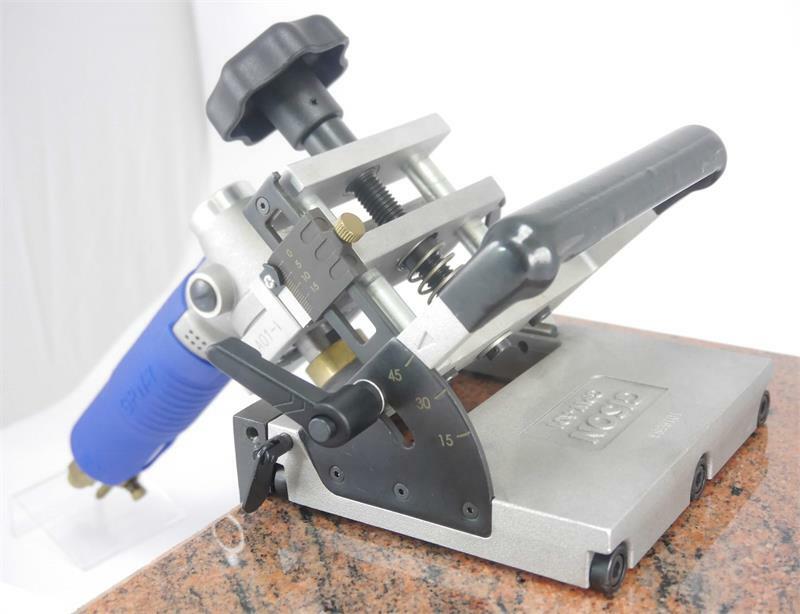 It accepts maximum 3" back holder and 3" diamond polishing pads. 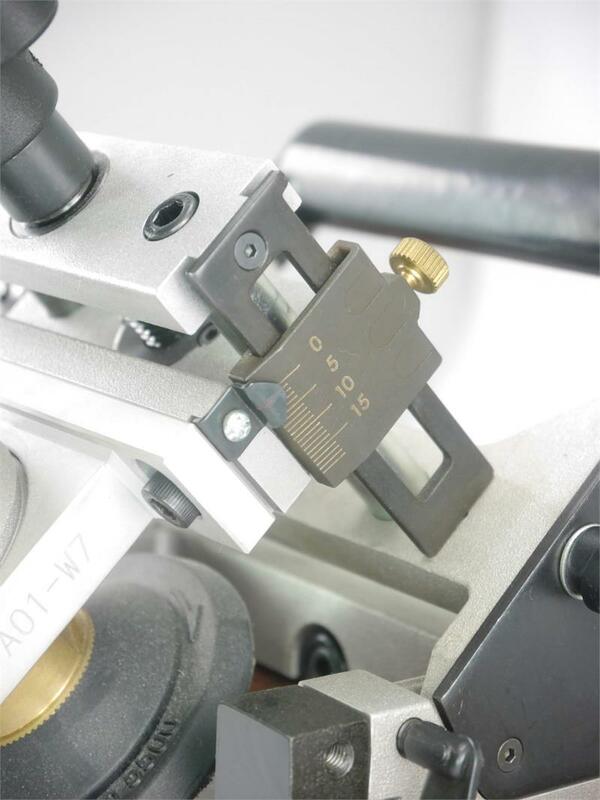 Size of mounting hole is 2" (52mm). 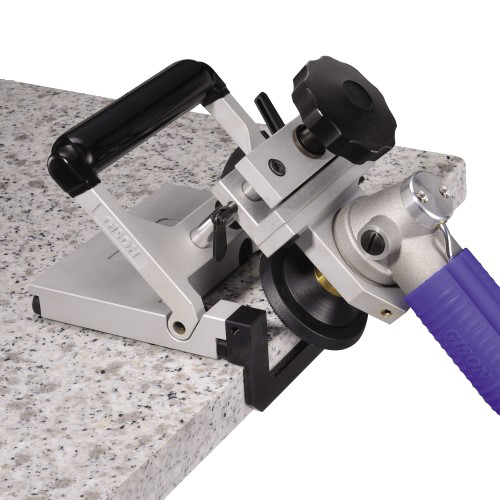 While "Seam Phantom" has been increasingly popular among fabricators for seam polishing, this Gison auxiliary base is a very economical alternative. 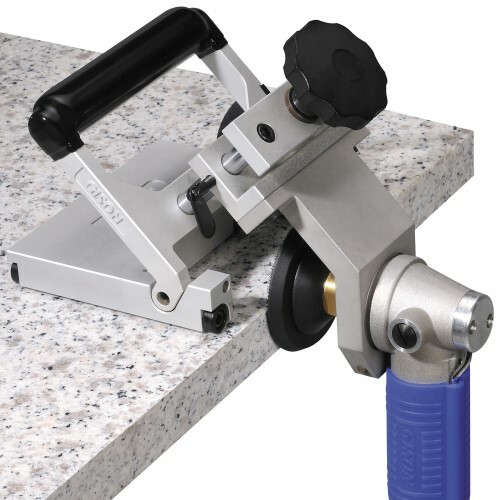 With a guide rail clamped to the slab, GPW-A01A can be easily used to polish seams with our unique diamond grinding wheel and rigid diamond polishing pads. 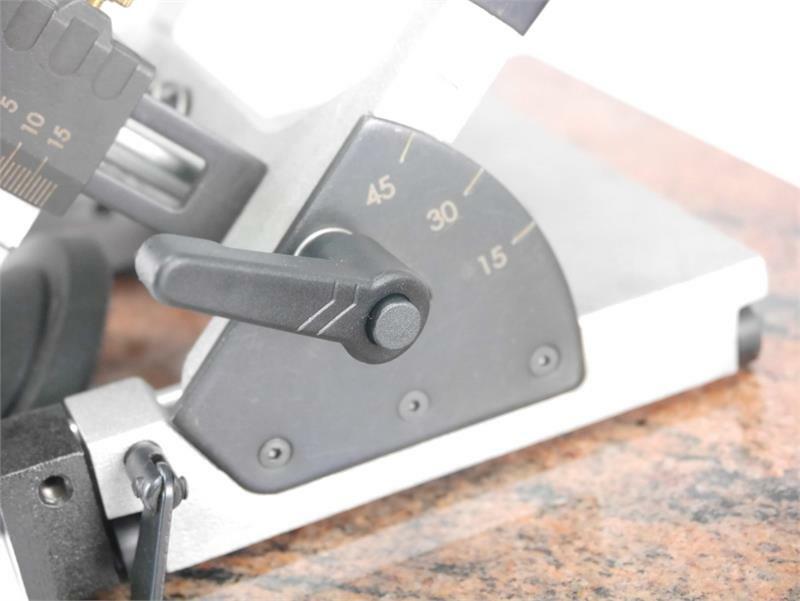 Caution: Although the rollers for the base are made of nylon, it is possible that they may cause minor scratches on the surface of granite. To prevent that from occurring, we recommend that the polished surface be covered with masking tape before using this product. 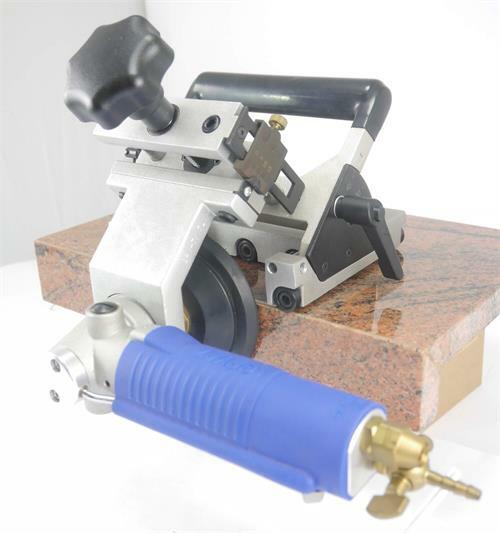 Works to polisher 15 to 45 degree bevels also with beveling edge clamp. 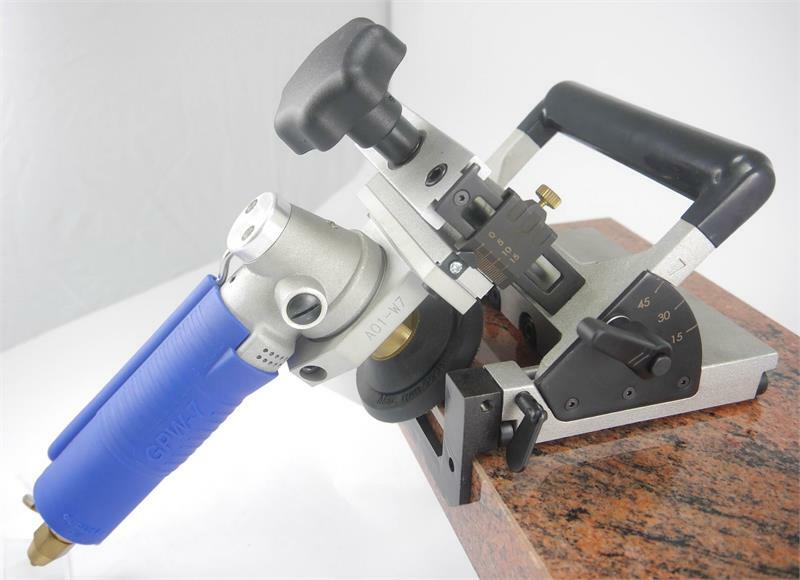 Polisher is not included and should be ordered separately.